...or download our Nativity Schedule in printable PDF format. The Nativity Fast is here! 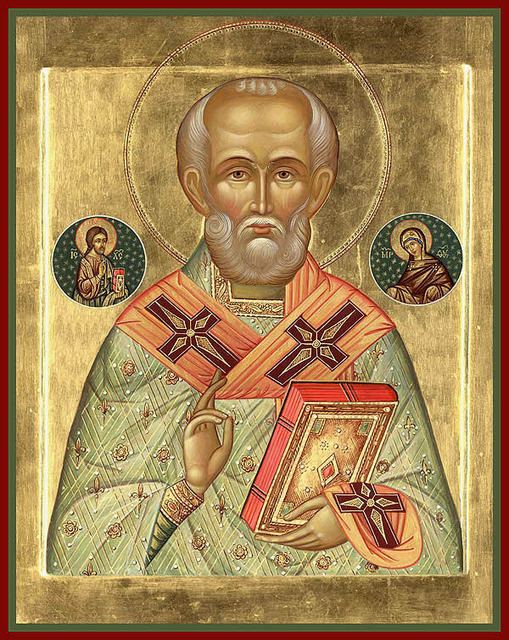 Commit yourselves individually and as a family to embrace the “Orthodox Way” of preparing for Christmas. The “world” has really little to offer or add to our understanding of Christ’s nativity in the flesh. Rather, it’s the same old tired package of distractions that leave you “hungering and thirsting” for the very thing you may have neglected in frantically and frenetically trying to have a “merry Christmas.” We are again presented with a gift of forty days that can “profit our souls.” Fast now to feast then, rather than feast now to fizzle out then. 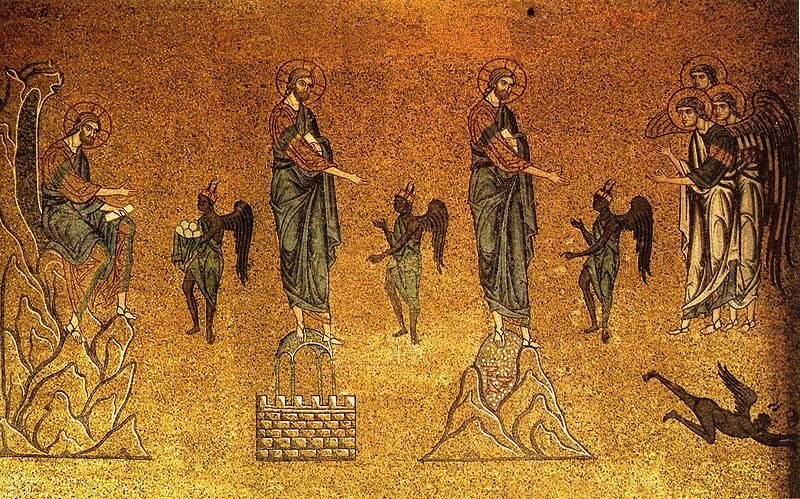 Let your church calendar guide you into the Scripture readings, saintly commemorations and fasting discipline that lead us to the Winter Pascha of spiritual renewal. 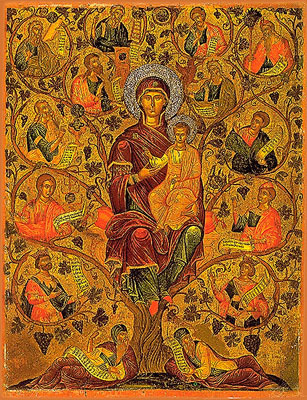 * For a good article on the 'Burning Bush' icon shown at right, visit Orthodox-Wiki. 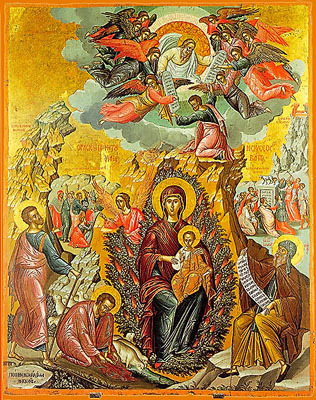 ** For resources on the Virgin Mary, visit our Festal Resource Page for the Entrance of the Theotokos into the Temple. Visit our special section on Fasting for spiritual insights into why we fast, and encouraging articles about this often misunderstood ascetical practice . . .
— from 'Why We Fast', by Fr. Stephen Freeman, on the OCA website. 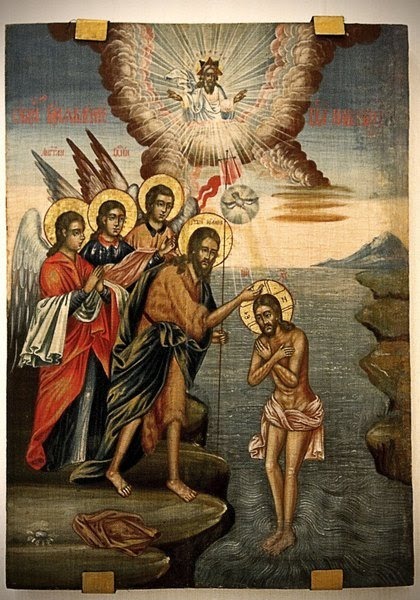 Proceed to Fasting in the Orthodox Christian Tradition . . .
Fr. 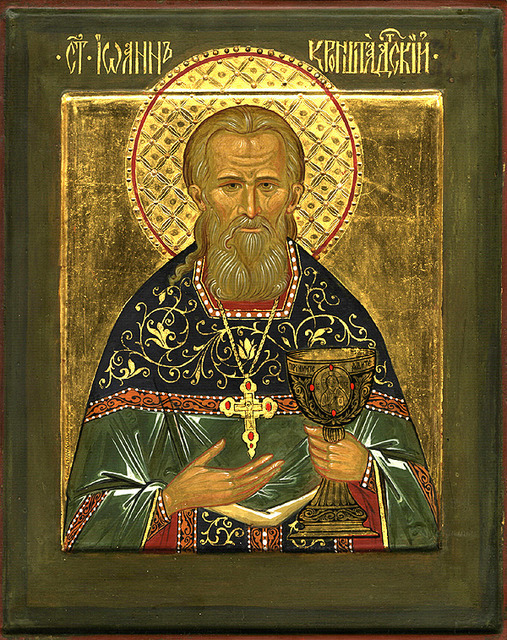 Igumen Sergius, Abbot of St. Tikhon's Monastery, presents the Orthodox teaching on the Incarnation, relying heavily on the mystical theology of St Maximus the Confessor, and showing how our destiny and calling is inseparable from the Incarnation. Video in four parts. First part presented below. Follow link at bottom for remainder. 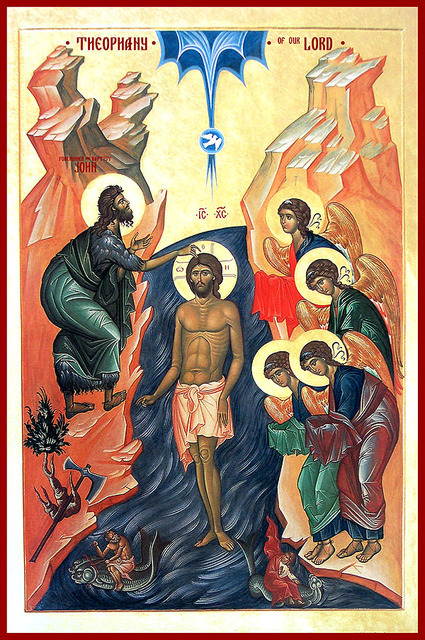 Continue watching at St Tikhon's Monastery website . . . 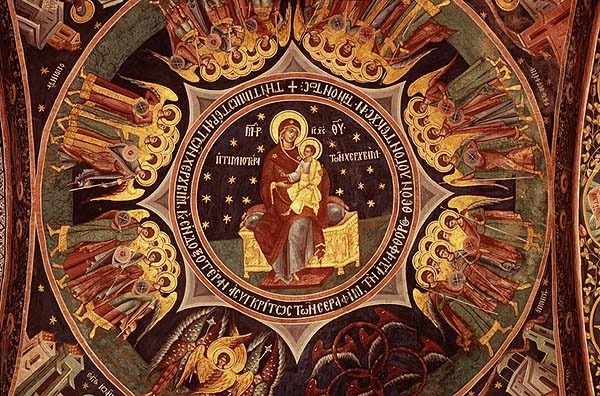 Here we offer a unique collection of reflections on the Incarnation, the Nativity of Christ our God in the Flesh, from the podcast A Word from the Holy Fathers. 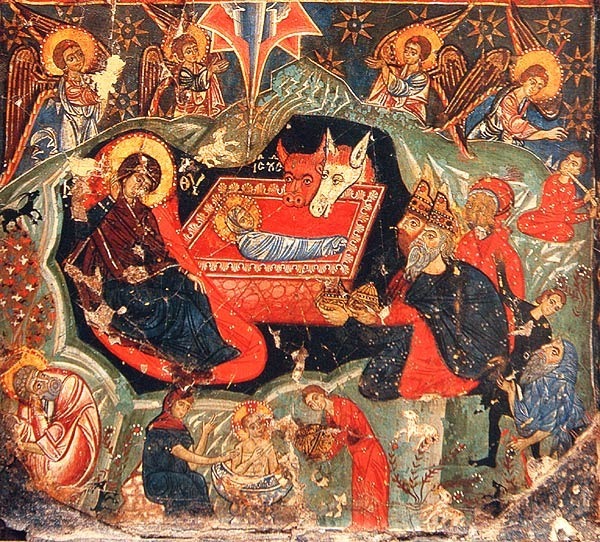 These brief and clear talks on the Nativity, by Fr. 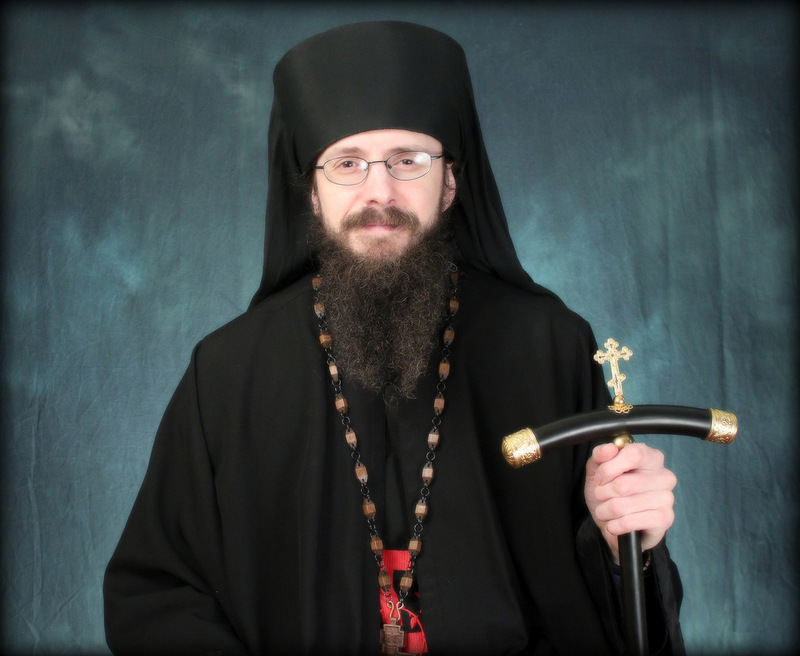 Deacon Matthew (now Hieromonk Irenaeus) Steenburg of Monachos.net, present the insights and wisdom of the Great Fathers of the Church to aid us in our contemplation of the awesome mystery of the Birth of God. Stream and play right on your computer, or download and save to your iPod, iPhone or other device, or subscribe to the podcast through iTunes. 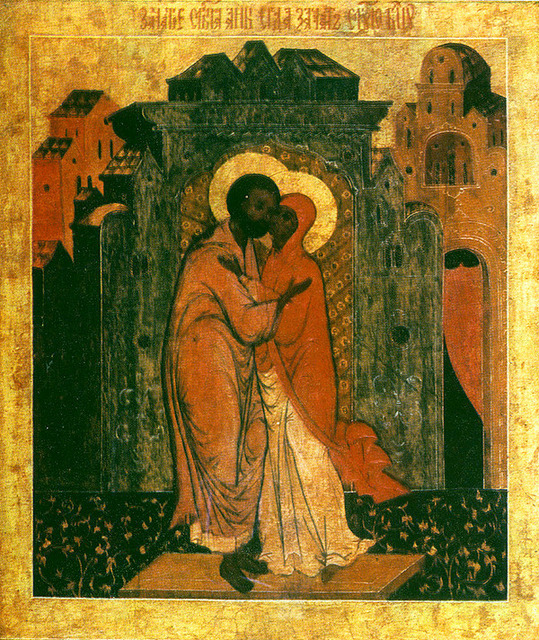 (Dec 9) This unique icon of the Theotokos speaking to a sinful youth (who was yet devoted to her and prayed fervently), and leading him to complete repentance and change of heart, is much beloved, and is celebrated also on Jan 25 and May 1. Read the full story of the icon here. 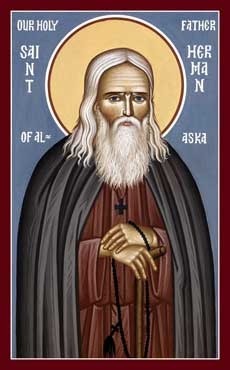 (Dec 13) Also celebrated during the Nativity Fast is our patron saint of Orthodoxy in North America. 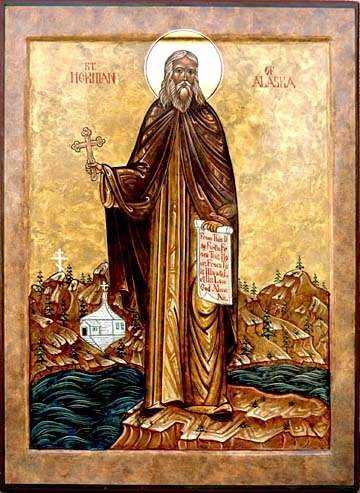 Visit our special page dedicated to St Herman, which features video, audio, articles, suggested books, and much more. 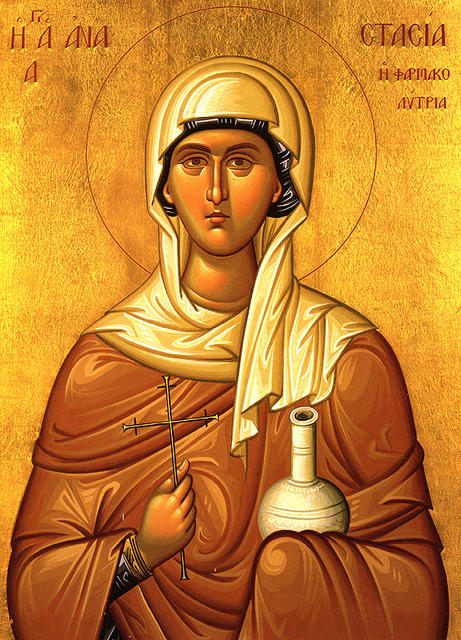 the Apostle Andrew (11/30), Greatmartyr Barbara and St John of Damascus (12/4), Hieromartyr Ignatius the God-Bearer and St John of Kronstadt (12/20), the Virgin Martyr Juliana (12/21), and Greatmartyr Anastasia (12/22). 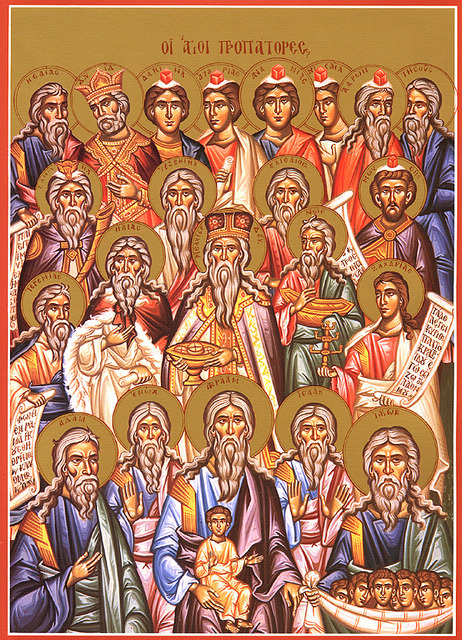 Several of the Old Testament Prophets and many more saints are commemorated during the Fast, and after the Nativity, there is a festal period leading up to Theophany (the Baptism of Christ, Jan 6) and on to the Meeting of the Lord in the Temple (Feb 2), which includes St Stephen the Protomartyr (12/27), St Basil the Great (Jan 1), St Seraphim of Sarov (Jan 2), and others. 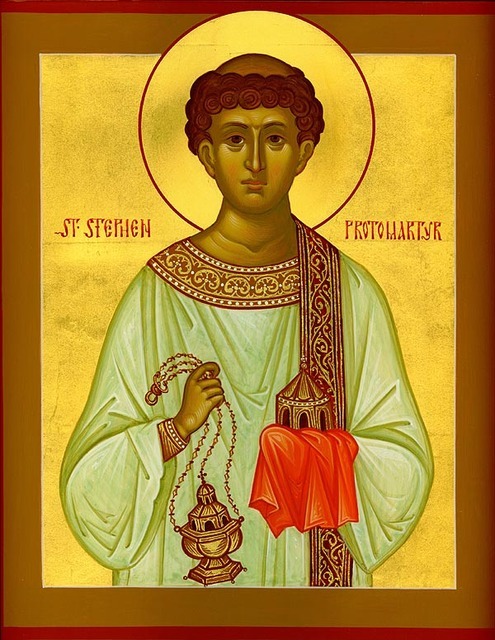 You can use your parish calendar to locate the saints you wish to learn about, and find them by searching the OCA website, which has the lives and icons of all the saints. 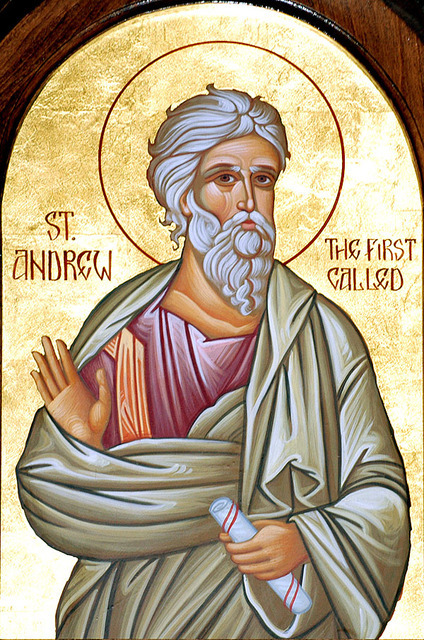 The saints incarnated Christ in their lives through their faith. May we follow their example and seek their intercessions! Conciliar Press is now Ancient Faith Ministries! 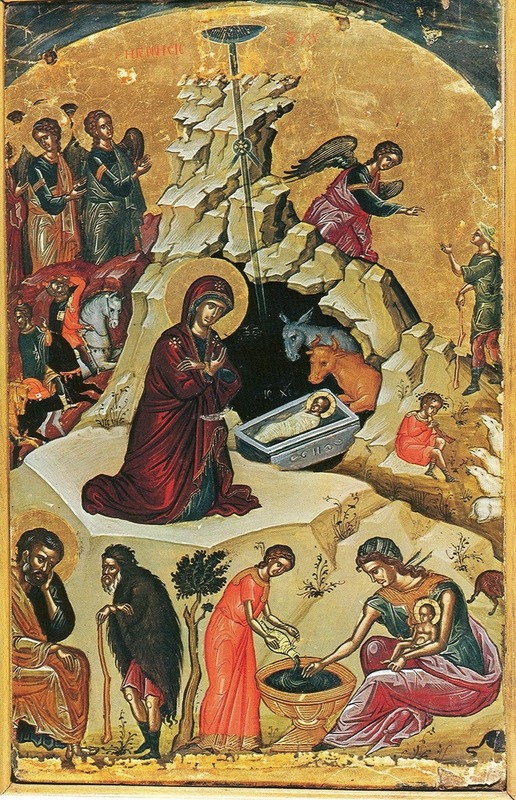 A unique and wide range of Orthodox Nativity cards, ornaments, crosses, and gifts, featuring many imported items from Greece, Russia and Jerusalem. Fr. 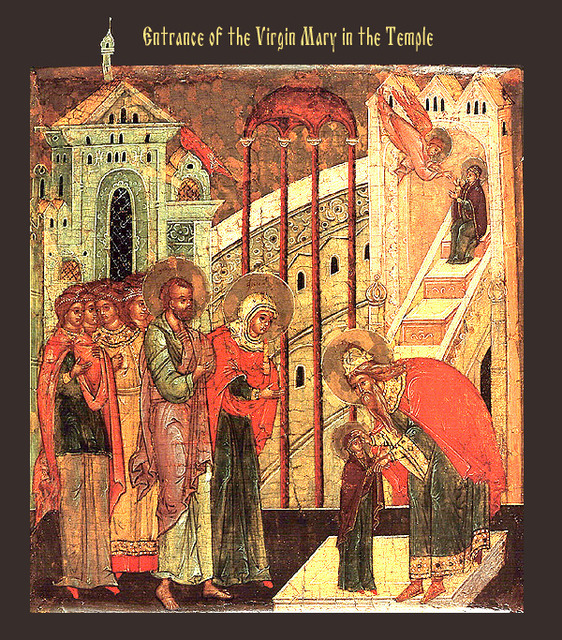 Thomas Hopko's classic book of forty meditations for the season of Advent, Christmas and Epiphany, ending with the feast of the Meeting of the Lord in the Temple on the fortieth day after Christ's birth. 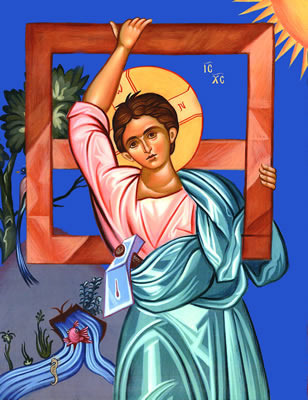 In the style of his popular book for the paschal fasting season, The Lenten Spring, the author again draws on the biblical readings and liturgical hymns and verses of the season to illumine the way for believers to follow the Church's days of preparation and celebration for the Coming of Jesus Christ, the Son of God, in human flesh. Only $18, from SVS Press. 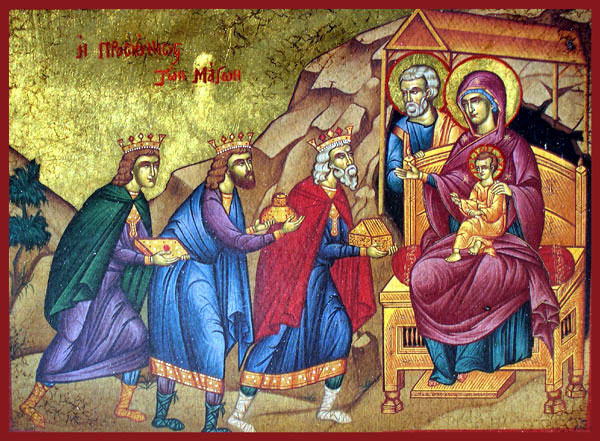 DAILY MEDITATIONS for the Christmas/Advent Fast and Epiphany Season, by Presvytera Emily Harakas and Fr. Anthony Coniaris. 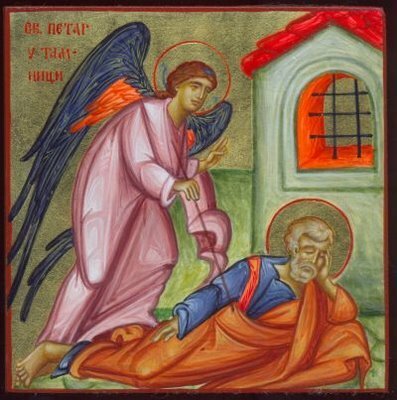 Scripture readings for each day along with select hymns from the Matins, Vespers, the Hours of the Nativity, etc. with a brief Scripture verse and a prayer—all selected by Presbytera Emily Harakas. An inspiring meditation by Fr. Anthony Coniaris for each day is included. This book will help make Advent and Epiphany come alive with meaning. Just one of the many book selections for the Nativity Fast offered by ArchangelsBooks.com. ST TIKHON'S MONASTERY BOOKSTORE - Unique gifts including jewelry, music, icons, lacquered eggs and boxes, handmade soaps, prayer ropes, and much, much more. Explore the many gift categories at St Tikhon's Monastery Bookstore. 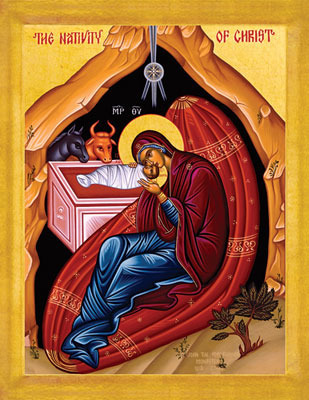 Orthodox Nativity Gifts - Greeting cards, music, jewelry, crosses, ornaments, children's books, toys, decorations, calendars, and much more. From the special Nativity Gift Section at Archangel Books. 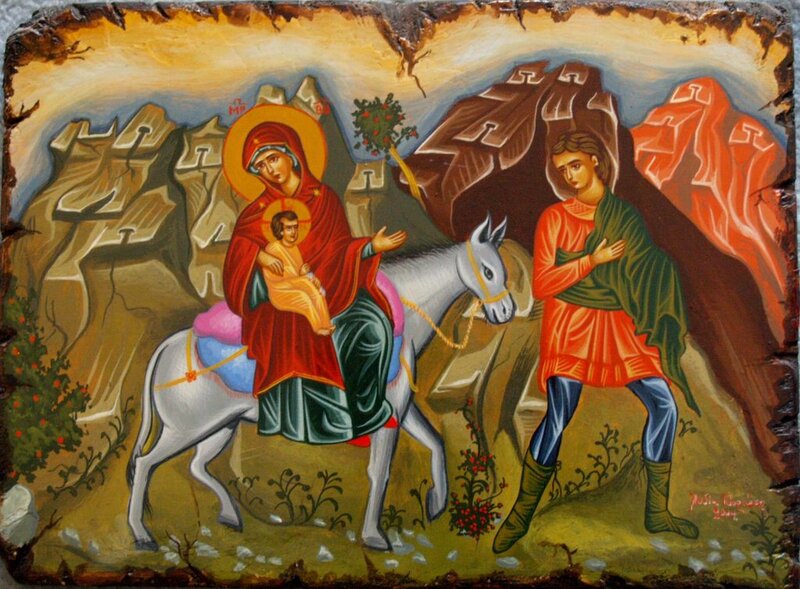 Handpainted Nativity Icons, Triptychs, and Silk Screened Russian Icons. 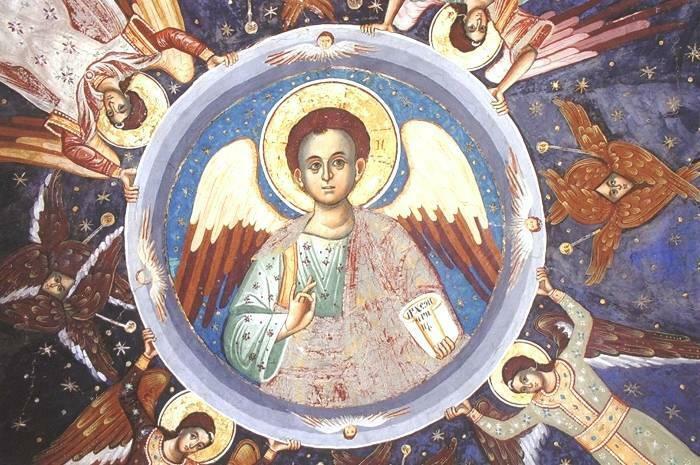 Archangels Books offers an outstanding selection of these, greeting cards, ornaments, children's books and toys, music, and other gifts for the Nativity Season. 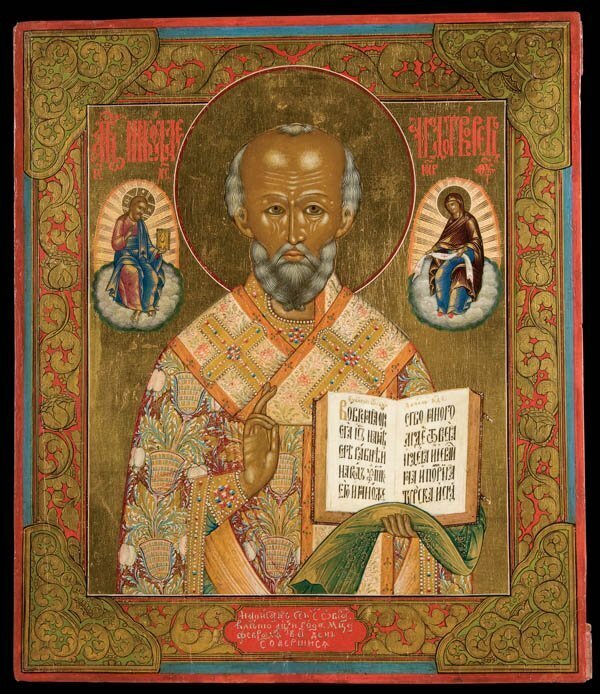 On The Incarnation, by St Athanasius the Great - NEW EDITION - The masterful defense of the Christian Faith, written by one of the great Church Fathers in an easy-to-read style aided by a clear, modern translation. Introduction by C.S. Lewis. Read a classic this Christmas! Only $16 from SVS Press. 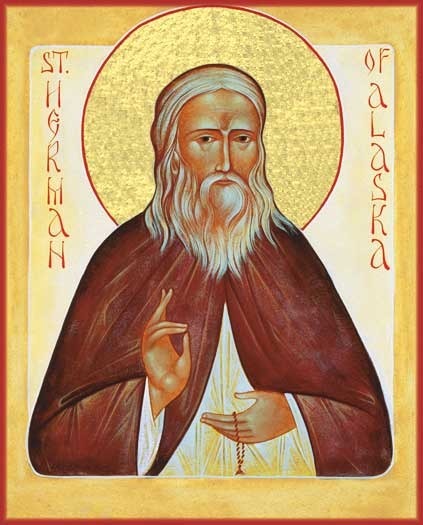 ST HERMAN of ALASKA ~ His Life and Service - This new, large format publication from St Herman Press (Platina CA) features new information about the life of St Herman (celebrated December 13), and includes the complete Vigil Service for the Saint. 48 pages, with Full-color cover - Only $9.00 from St Herman Press. 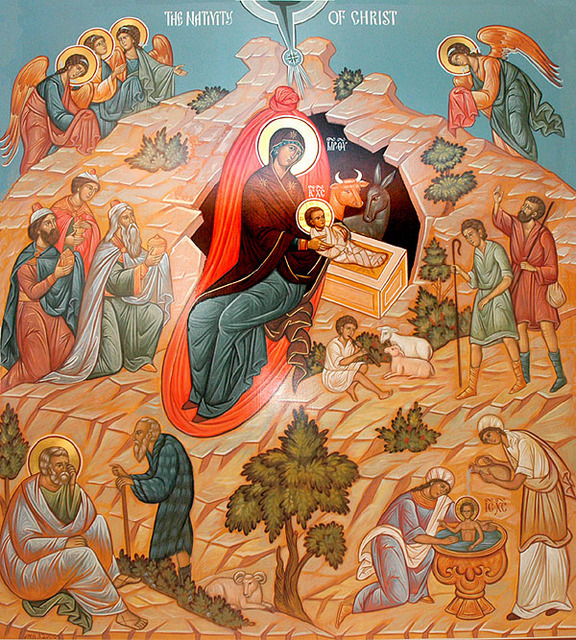 The Orthodox Church's hymns of the prefeast and feast of the Nativity of our Lord celebrate and proclaim in word and song the celestial joy of the incarnation. These beloved texts, so wonderfully illustrated by Niko Chocheli, are filled with beauty and power. They tell in a touching way of the all-embracing participation of creatures in the Creator's coming. Only $18 from SVS Press. Nativity Greeting Cards also available. 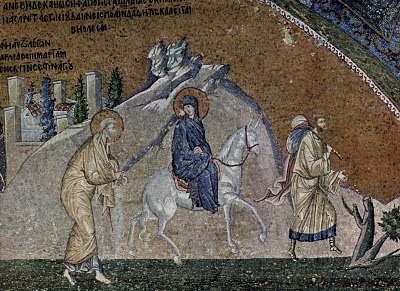 The Fast of the Nativity is a time of preparation, an ascetical journey — not as rigorous as Great Lent perhaps, but ascetical still — one that is joyously opposed to the frivolous spirit of the world. 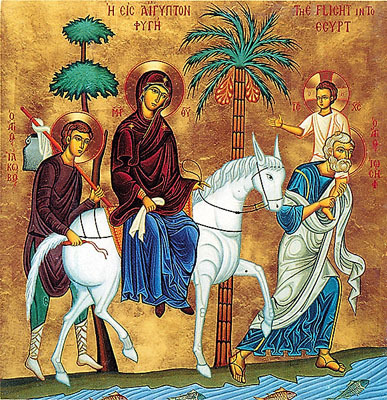 On this special page we have tried to collect a variety of articles, suggested book titles, and other materials to help us in our journey to Bethlehem. May your journey be blessed! We do not tremble when we think of Christmas, we are not always struck with the wonder of the Nativity. 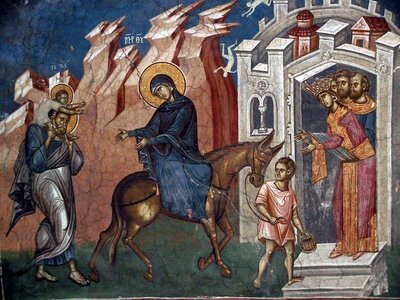 Instead, we buy gifts and plan parties, catching a glimpse of the joy of the Feast, but without a heart immersed in its wonder... Read the complete article, plus more patristic sources on the Fast and feast of the Nativity of Christ at Monachos.net. 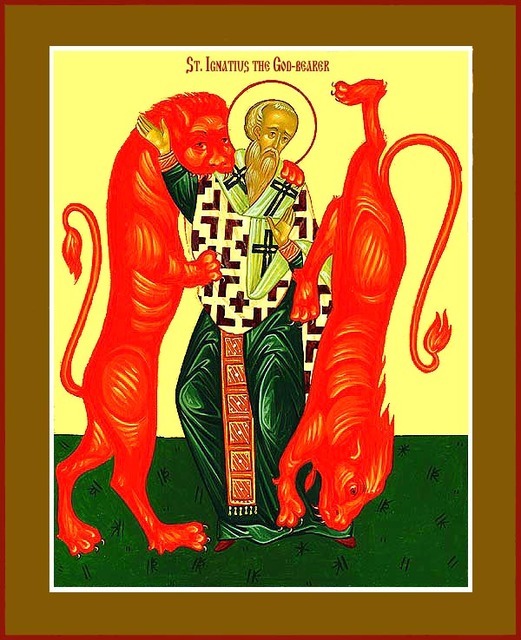 St John Chryostom: "He bowed the heavens and came down..."
On the Nativity Fast: The Preparation of the Soul - A reflection on the nature of fasting as it relates to the Feast of the Nativity, and why Christians fast in preparation for the Lord's birth. 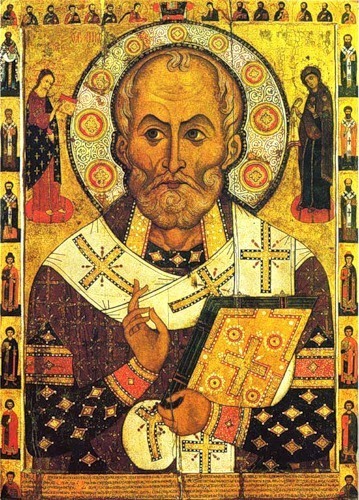 St John Chrysostom on the Charity of Fasting - An episode of A Word From the Holy Fathers podcast, examining the nature of fasting as a pastoral activity, rooted in the love of God and of neighbour. A series of older and newer threads in the Discussion Community focus on themes of the Nativity Fast. 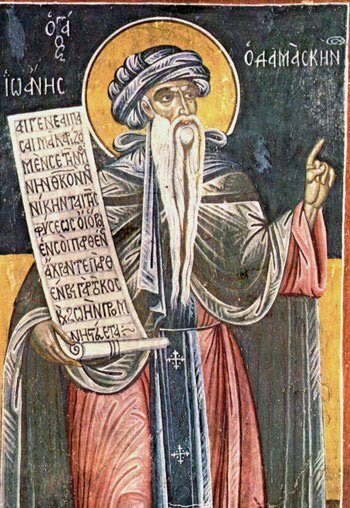 The Orthodox Discipline of Fasting - featuring articles and sayings from both recent and ancient fathers on the importance of our ascetical practice. On Western Advent Traditions - a very helpful pair of articles discussing Santa Claus, Advent Wreaths, and Christmas Trees. 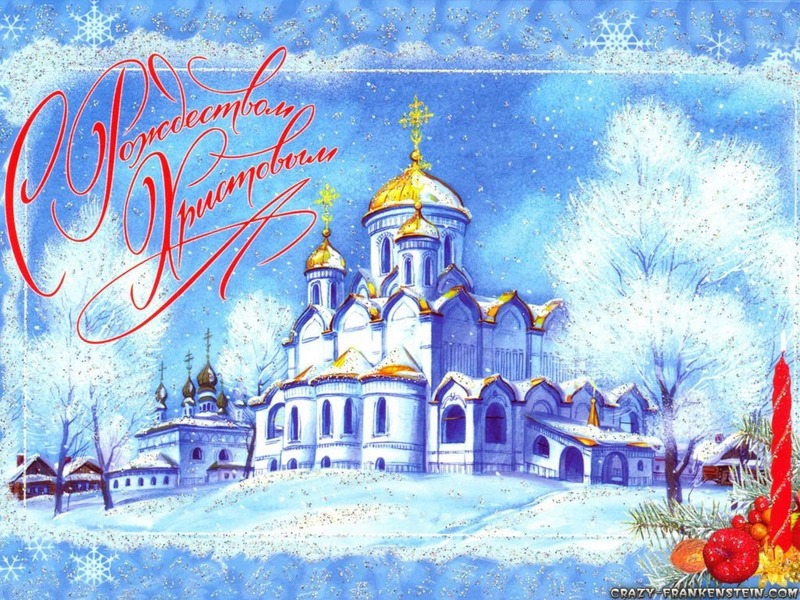 Christmas To A Traditional Eastern Orthodox Christian (with a good history of how the Feast came to be celebrated the way it is today). 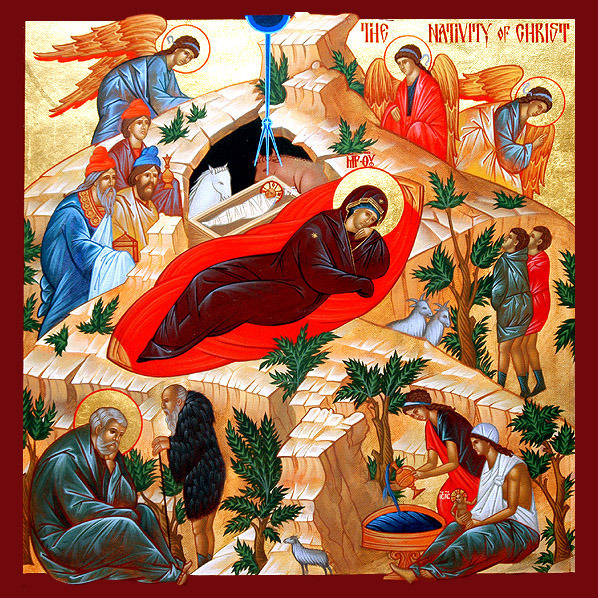 MYSTAGOGY NATIVITY RESOURCE PAGE - Click here for almost sixty articles covering every aspect of Orthodox — and cultural — celebrations of Christmas around the world. Also numerous challenging theological articles, and many wondrous photographs! Featured in our 2017 Nativity Calendar, available at church. 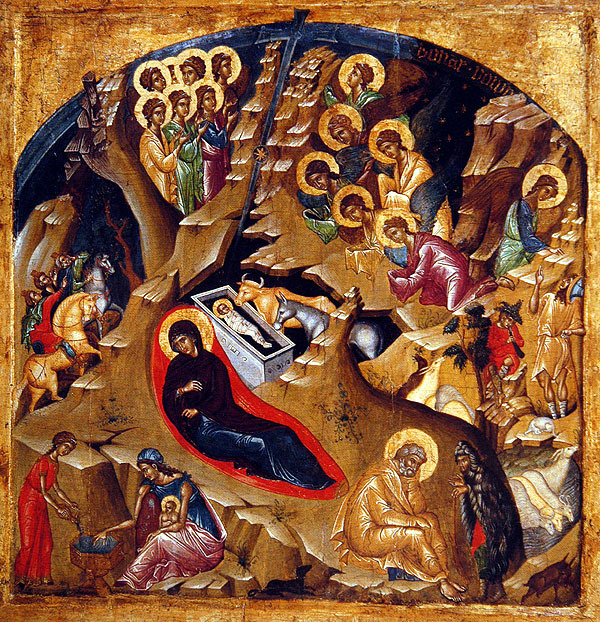 Let us then look at this crib not as we do when we are small children, seeing only an image of a child’s birth, miraculous, wonderful; let us look at it with an earnest and adult gaze, and see that this crib is an altar of sacrifice, that this cave where He was born is an image of that cave in which He will be deposited, a young man, killed for God’s sake after the agony of the Garden and the agony of the Cross, and let us ask ourselves, "Are we, each of us, a response to love revealed in such a way, revealed to such degree?" Will we find in ourselves a response, or shall we only say, "It was His choice, I have chosen against Him. 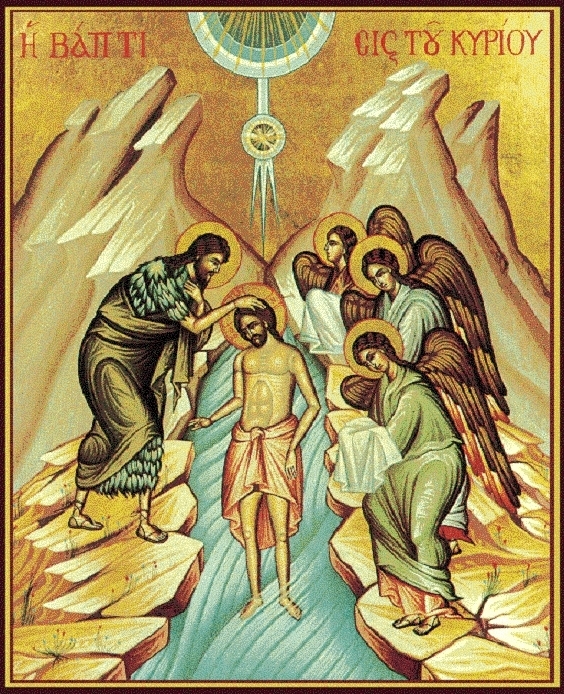 He has chosen life for me, I have chosen death for Him"... Or are we going to respond to this revelation of love in which the frailty of love is made visible, perceptible to us in the frailty of this little human body deposited on the straw of a crib, respond to the frailty of God by a mature love?
. . . Any important great work must be prepared and even our daily activities must be prepared if they are to come to a good conclusion. A skilled painter once told me that the secret to a good paint job is preparation!, preparation!, preparation!. The difference between a good paint job and a bad paint job is preparation. Walls and woodwork must be sanded and scraped, furniture and carpeting must be removed or covered up, taping around the windows and walls or woodwork that should not receive paint must be done so that we have good clean crisp borders. A sloppy paint job is the result of inadequate preparation of the surfaces. There is a principle here that also applies to any human undertaking and is especially applicable to the spiritual life . . . Probably the first and most basic preparation for participation in the Holy Mysteries is facing the challenge to live lives that are consistent with the prayer of the Church. This is the fundamental preparation for receiving the feasts and the Holy Communion. It is not enough to merely mouth the words. Unless heart and soul and all the powers of mind and body are applied to the keeping of the Gospel commandments, our prayer is empty and we run the risk of having only the Pharisee’s empty feeling of self satisfaction. The fasts of the Church are times for us to focus on the basics of Christian life, to ponder the commandments and do them and live lives that are consistent with what the Church is praying. On December 25th the Church celebrates the Nativity of Christ and a forty-day fast is given to us that begins on November 15. This fast is a gift given to us that we might enter the feast with clear minds and clean hearts, with a correct understanding of what it is that we are actually celebrating and prayer that is bold and focused. We will not celebrate the feast with maximal joy if our behavior and our prayer are conflicted. The fast reminds us that those who truly live a Christian life have made the Kingdom of God their number one priority. In the world many families will go to great lengths to prepare for the secular aspects of the feast, but if these preparations do not flow out of the faith and love for the Savior Christ, they will have nothing at all to do with Christ and His Nativity. Parishes will have craft shows, Nativity programs, caroling, and the sale of cherished baked goods. In the home cookies and sweets will be baked, gifts will be purchased, Christmas decorating will be done, remodeling and redecorating will happen, cards will be sent, plans will be made for the meals and parties. If we are expecting guests from out of town, the preparations will be many, depending on how important our visitors are to us. The greater the love the more we will make every effort to make our guests welcomed, comfortable and well fed. In the end the purpose is to show our love and respect and maybe even gratitude (Oh, that we would make as much effort to welcome Christ the Bread of Life into our hearts!). 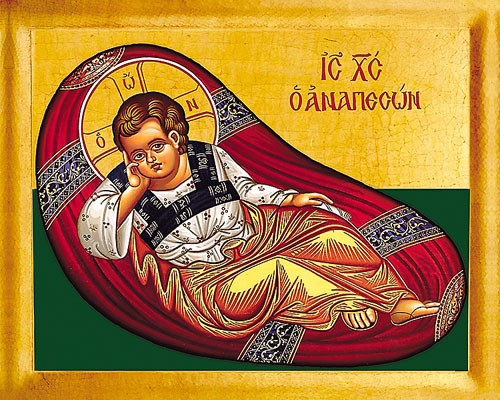 To aid us in contemplating the Awesome Mystery and Great Feast of the Nativity, we offer here a description from the iconographic tradition of the Church, perfect for young adults, from the OCA's Wonder Blog. 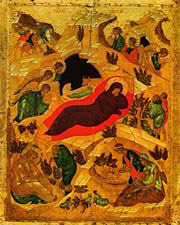 "Whether the iconographer places Jesus in a manger or on an altar, Christ is always depicted in a cave. Poetically this isn’t just a cave, but rather the empty tomb in which he lay after his crucifixion. 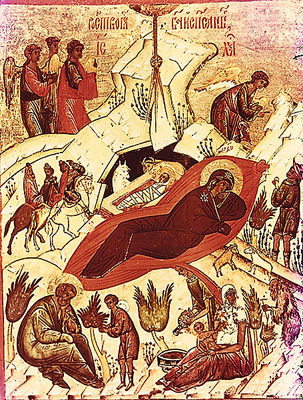 Jesus is depicted lying here wrapped in swaddling clothes, clothes that now become his burial shroud..."
Continue this exploration of the Nativity icon by an iconographer, from the OCA Wonder Blog. Special Reflection: Rachel Continues Weeping for Her Children . 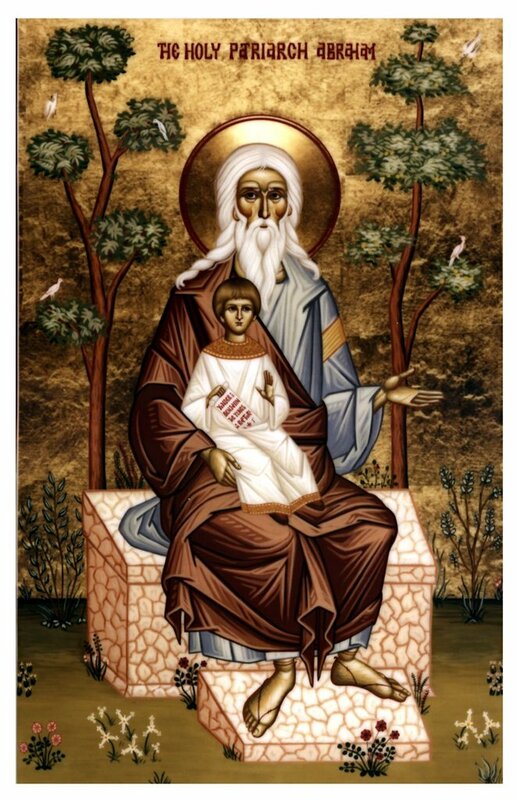 . .
... How precious is the child within the womb of a mother who spiritually prepares herself for the birth, who knows that the birth will be blessed within our Holy Orthodox Church as is the custom after forty days. 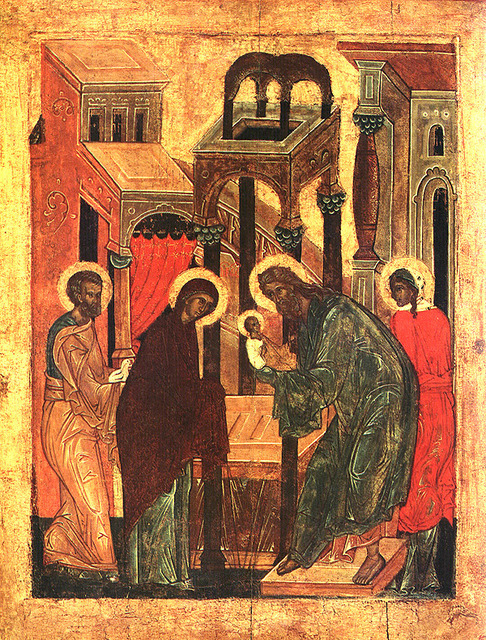 Both the mother and the new-born child are brought to the Holy Orthodox Church, and prayers are read over both of them on their entrance into the Holy Church. After this entrance, the days ahead are a time of preparation for the Holy Baptism of the newly-born child, a child so precious to our Lord God, and to the Holy Orthodox Christian community, that a Godfather and Godmother are provided to be the witnesses of this Holy Baptism, and to help assist in teaching the child the Holy Orthodox Faith throughout his or her life. The Holy Rachel wept unceasingly when King Herod had ordered his soldiers in both Bethlehem and Judea to have all the children massacred, from the newly born up to the age of two years old. 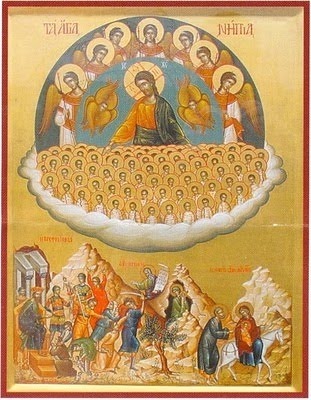 Ever since this appalling, unlawful act of the massacre of the 14,000 Holy Innocent Infants, it seems that the loving Holy Rachel has not stopped weeping to this very hour, as we continue to see abortions being performed in America and in other countries around the world, often with the approval of local governments. 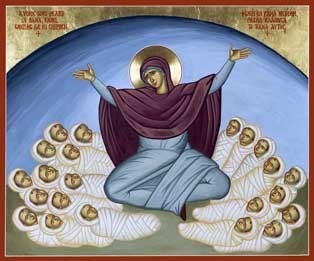 The Orthodox Church cries out against this act of abortion. But is it not true that our ears often remain closed as we are afraid of the truth? We are allowing death to happen, murder, before our eyes! Death of an innocent child! 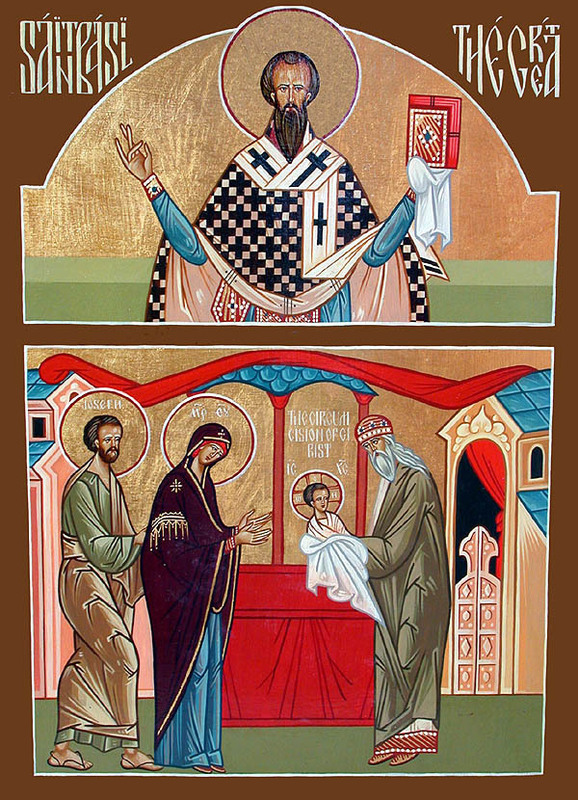 Together with St Basil the Great, the Circumcision of Christ is commemorated on January 1. Why do we commemorate the Circumcision of Jesus Christ? An iconographic slide show . . . 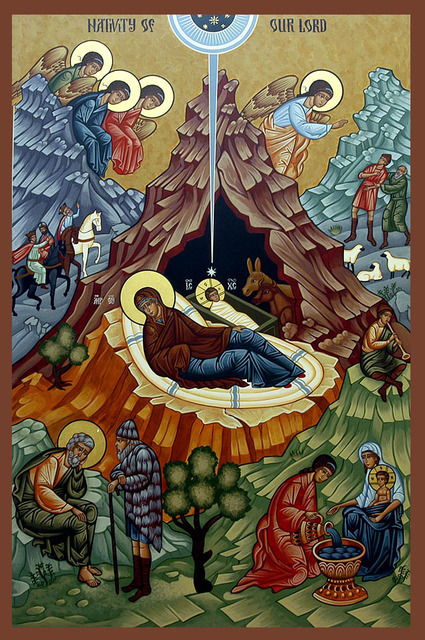 The Nativity Icon is rich in its depiction of the mystical events surrounding the Birth of Christ, but the Orthodox iconographic tradition portrays just as powerfully other events detailed in the Gospel accounts. 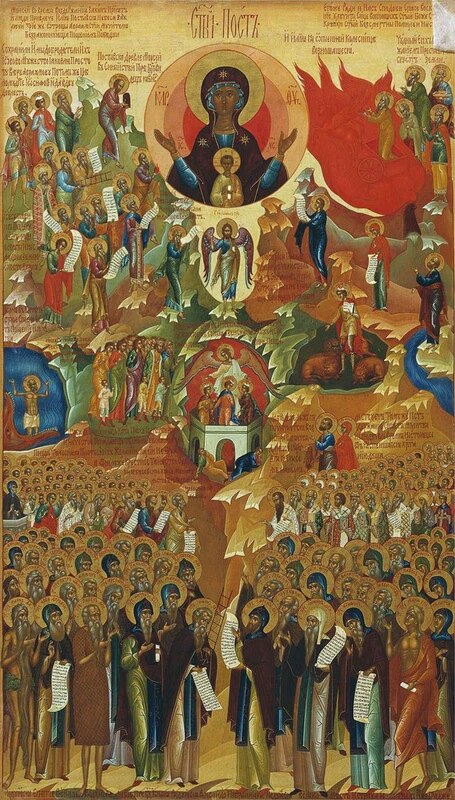 Also shown here are some of the great saints commemorated during the Nativity Fast, and profound icons of mystical realities.